Are you a cantaloupe purist or are you up for dressing up your muskmelon?? I find there are two camps when it comes to cantaloupe recipes. The purists just want to enjoy sweet, home-grown cantaloupe on its own – no doctoring allowed! But there are also folks like me, who are up for a little spin on the traditional melon. All week, I have been watching shoppers in our Country Store stop at our cantaloupe sample table for taste. “Ooh’s” and “Ahh’s” can be heard across the produce department as they savor sweet bites of summer melon! This year’s crop of locally grown cantaloupe is sweeter than ever. I am sure that after one nibble, you will be carrying one out for yourself. 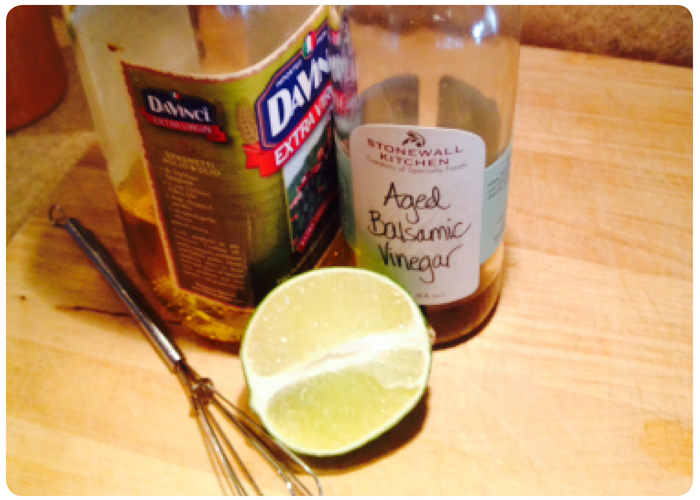 Whisk together dressing ingredients. 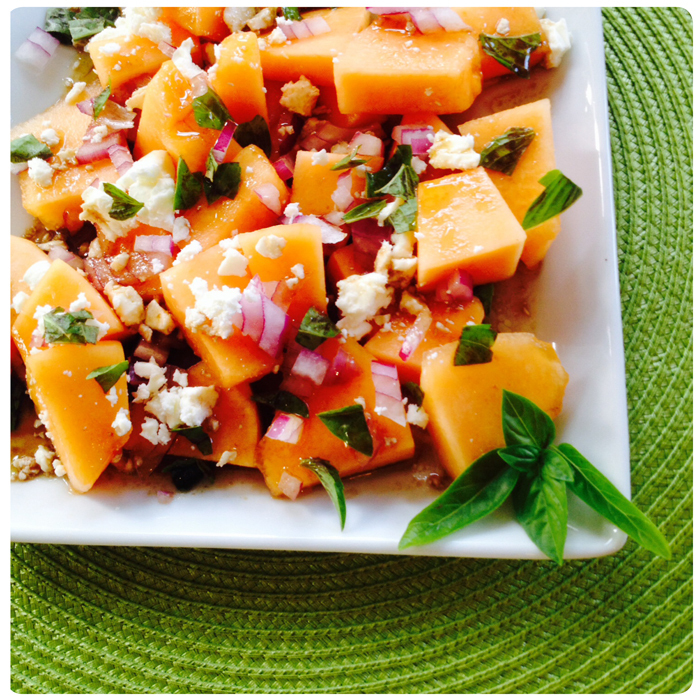 Arrange cantaloupe, onions and feta on a plate or in a shallow bowl. Drizzle dressing on top of cantaloupe mixture. Serve immediately.